I have two upcoming novels to reveal today. And both make me super excited! The first reveal comes from Brandon Sanderson. He is finally releasing the follow up to The Allow of Law this October. This set of novels is set years after the amazing Mistborn trilogy and revolves around a new set of characters using the same magic system. I am glad that we finally get to head back into the Mistborn realm after a lengthy detour for several other projects. While I love Sanderson's novels, this series is still my favorite. 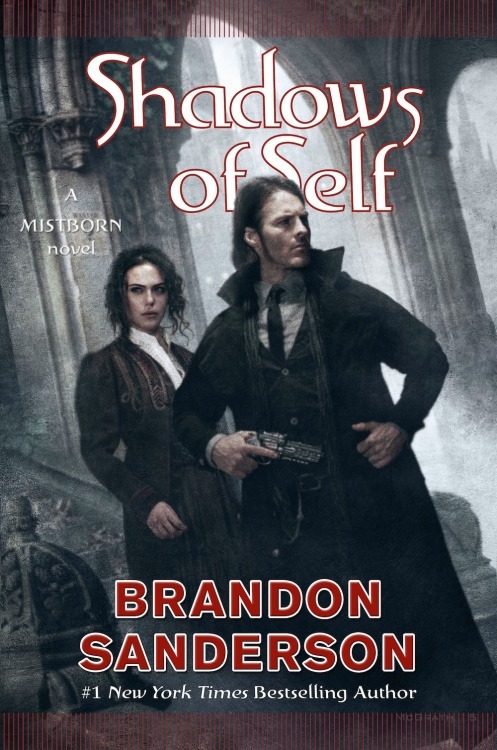 Learn more about Shadows of Self on Sanderson's blog. My second cover reveal comes from another of my favorite series. I have really enjoyed the rapid publishing rate of these fantastic books. For the eighth foray into the world of Magnificent Devices we will be focusing on Tigg. The ability to look into each character's back story really sets these books on the top shelf for me. We still have some time before a publication date is announced, but at least this cover reveal can keep the excitement afloat. Check out this fabulous cover. Visit Shelley Adina's blog for more details about this fantastic series.